LISTEN to today's show featuring Matthew Walker, Ph.D.
As the Director of UC Berkeley’s Sleep and Neuroimaging Lab and professor of neuroscience with over 100 scientific studies to his credit, Matthew Walker, Ph.D. has devoted his career to understanding one of our most prevailing biological mysteries: sleep. In this brilliant exploration and the first of its kind by a leading expert in the field, WHY WE SLEEP: Unlocking the Power of Sleep and Dreams (Scribner, on sale October 3), Walker illuminates the scientific discoveries that he and fellow researchers have led in the past two decades to help us understand the vital importance of sleep and how it can change our lives for the better. Sleep is the ultimate health panacea. It enhances memory, makes you more creative; makes you look more attractive; keeps you slim and lowers food cravings; protects you from cancer and Alzheimer’s; wards off colds and the flu; lowers risk of heart attacks, stroke, and diabetes; abates depression and anxiety; and is one of the most important predictors of illness. 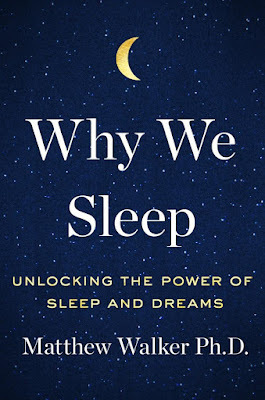 Herein, Walker outlines how we have misunderstood and misused this powerful and necessary habit on both an individual and structural scale, offering straightforward advice on sleeping more and better. 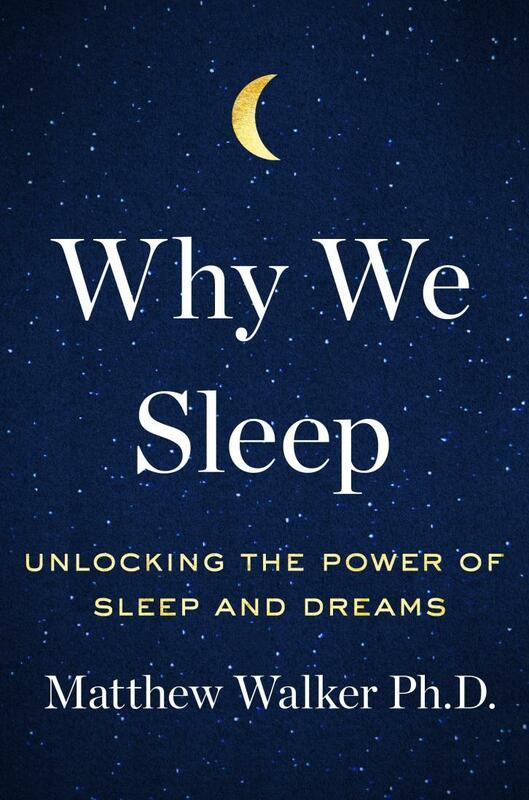 Charting the fascinating experiments and breakthroughs in sleep science—from the serendipitous drug breakthrough helping PTSD patients from reliving their worst nightmares to testing Nobel Laureate Francis Crick’s hypothesis on the function of REM-sleep—WHY WE SLEEP is a clear-eyed primer and illuminating guide on how exactly we can sleep our way to health, longevity, and wellness. Matthew Walker, Ph.D. is an award-winning neuroscientist and a leading world expert on sleep. He has appeared in several Google Tech talks and radio features on the BBC and NPR, including “Science Friday.” Dr. Walker was the feature of a CBS “60 Minutes” special entitled “The Science of Sleep.” He contributed to the recent National Geographic documentary Sleepless in America; the PBS NOVA special “Memory Hackers”; and, most recently, the BBC Horizon documentary Curing Alzheimer’s. He is a frequent international public speaker and offers workshops of various kinds to business leaders and technology firms. Scribner is an imprint of Simon & Schuster, Inc., part of the CBS Corporation. Simon & Schuster is a global leader in the field of general interest publishing, dedicated to providing the best in fiction and nonfiction for consumers of all ages, across all printed, electronic and multi-media formats. Its divisions include the Simon & Schuster Adult Publishing Group, Simon & Schuster Children's Publishing, Simon & Schuster Audio, Simon & Schuster Digital, and international companies in Australia, Canada, and the United Kingdom. For more information, visit our website at www.simonandschuster.com. may give you some useful tips on this topic.